Sean performed on Show 328 in Boston, MA, on October 16, 2016. 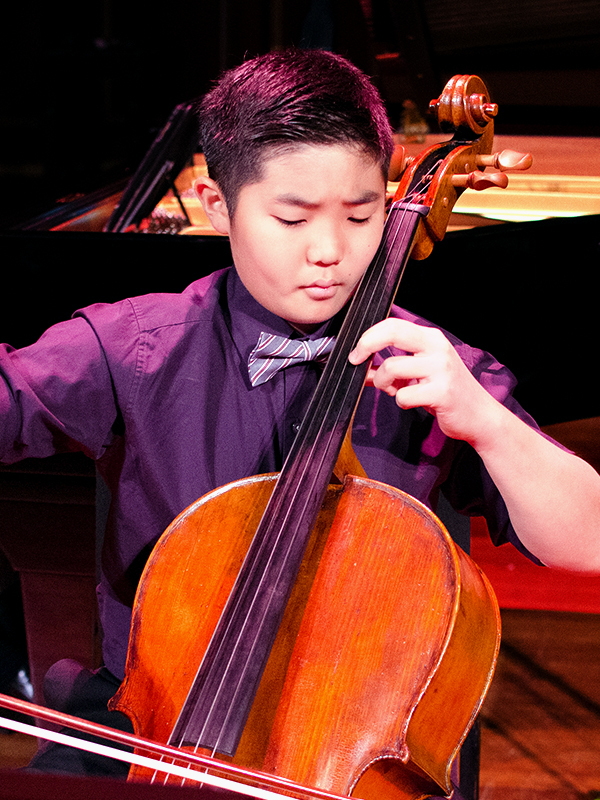 Sean Yu, 12, cello, is from Rye, New York, and is a sixth grader at Rye Middle School. He studies with Minhye Clara Kim at the Juilliard Pre-College Program. A top-prize winner at the Camerata Artists International Competition, Manhattan International Music Competition and the 17th New York Music Competition, Sean has performed in venues such as Merkin Hall and Weill Recital Hall. During the summer, Sean has attended the Meadowmount School of Music and Great Mountain Music Festival. During his free time, Sean loves to draw and spend time outdoors.